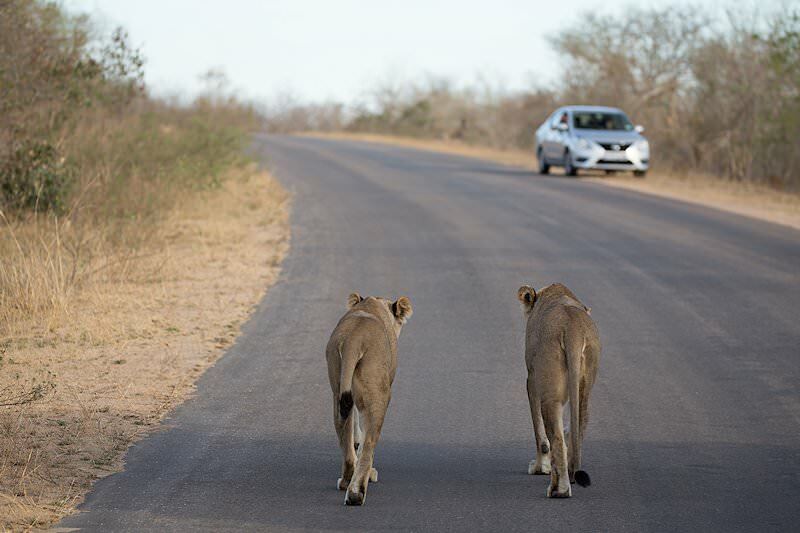 The great infrastructure in the Kruger National Park makes it ideal for a self-drive safari experience. Clients are met upon arrival at O.R. 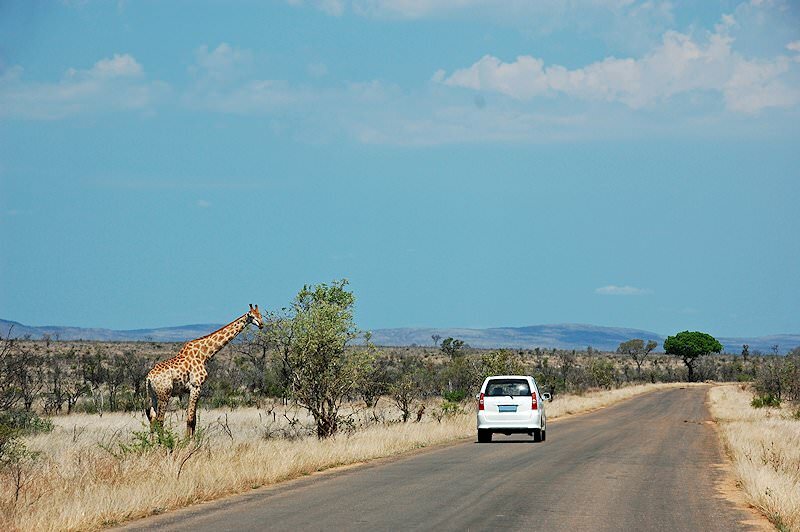 Tambo International Airport in Johannesburg by a representative of African Sky Safaris & Tours, who will present them with their Kruger Park self-drive safari itinerary, a map book of South Africa and a GPS. 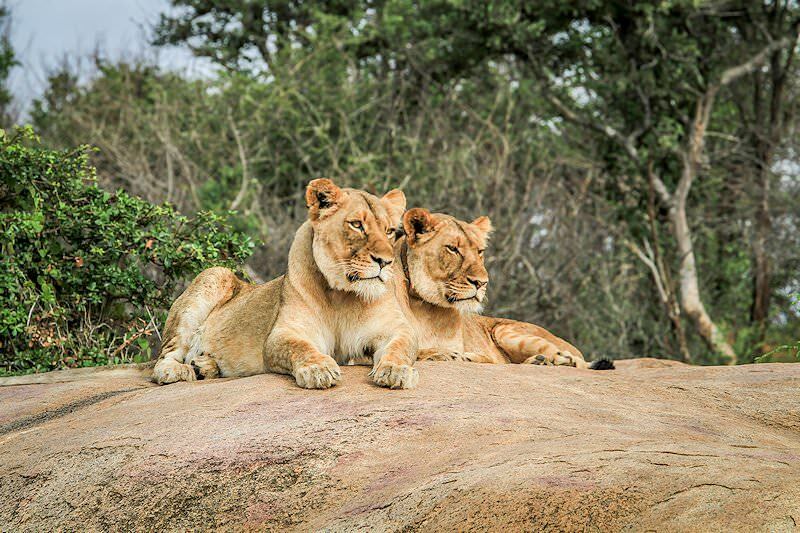 At this time, clients are also presented with accommodation and other relevant vouchers which they will require on their self-drive safari. 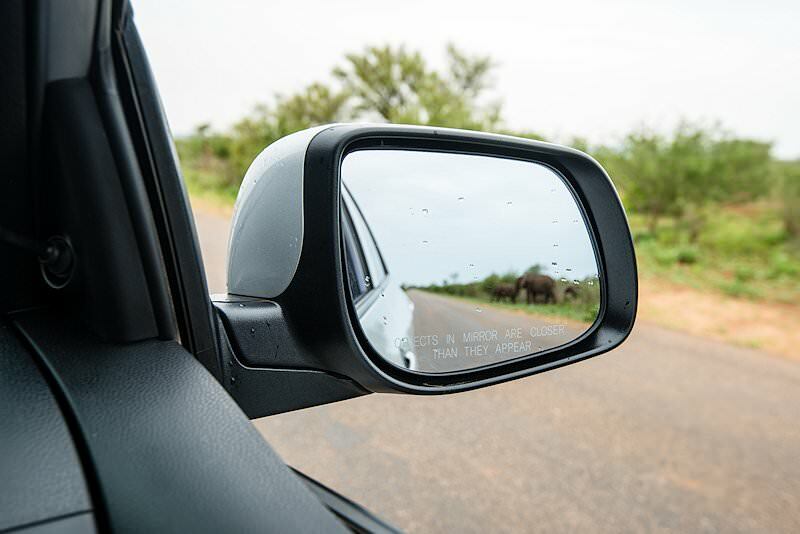 Clients are then assisted with obtaining their rental vehicle before embarking on their Kruger Park self-drive safari. 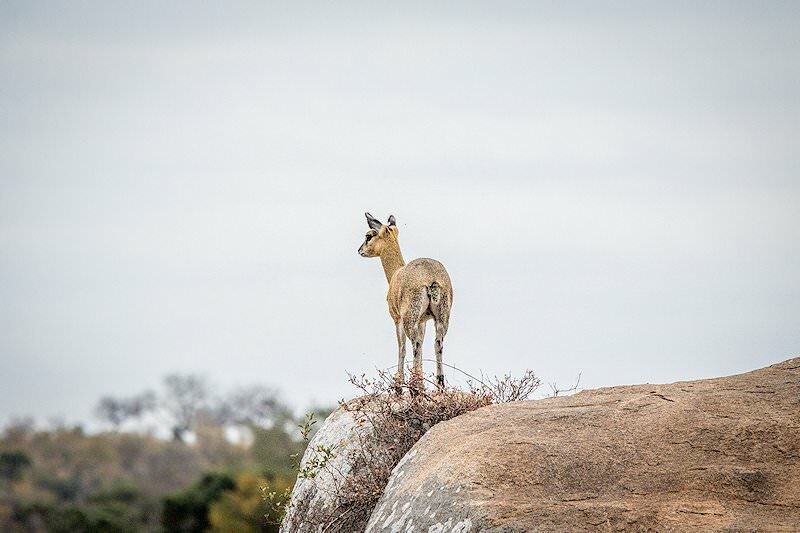 You'll enjoy three nights and four days exploring the southern reaches of the park from a base at Skukuza Rest Camp, the largest of the park camps. 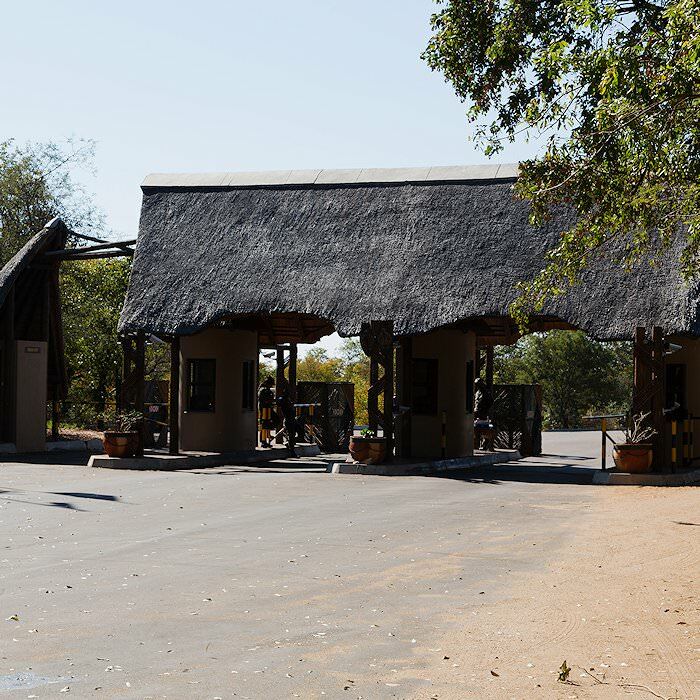 Skukuza hosts some of the best restaurants in the park, along with a fascinating museum documenting the park's human and natural history. 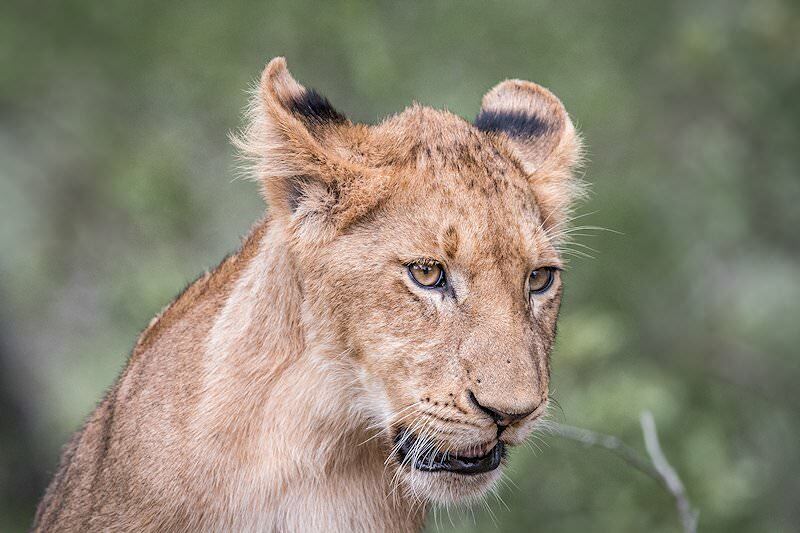 The camp also overlooks the prolific Sabie River, one of Kruger's most significant perennial waterways. 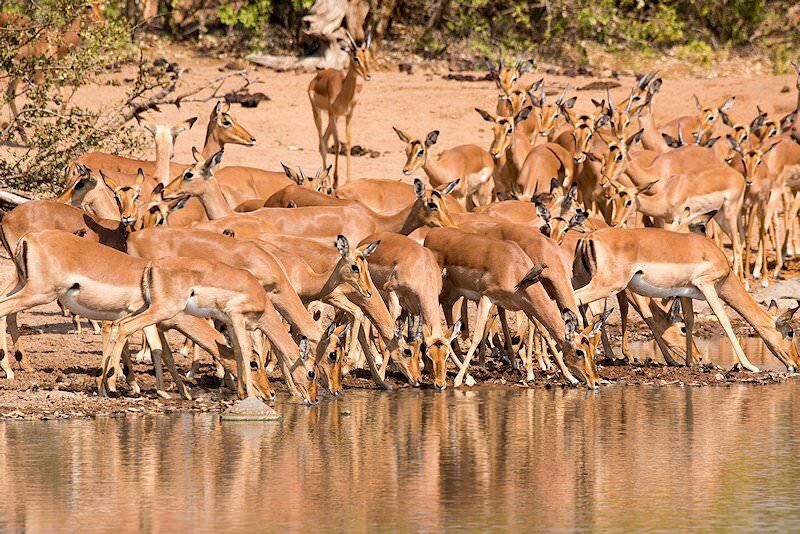 The Sabie River will form the backdrop of your self-drive game drives, as the route between Skukuza and Lower Sabie Rest Camp is very generous in terms of game viewing. Leopards love the large, riverine trees, and all walks of wildlife will wander down to the water's edge for a drink. 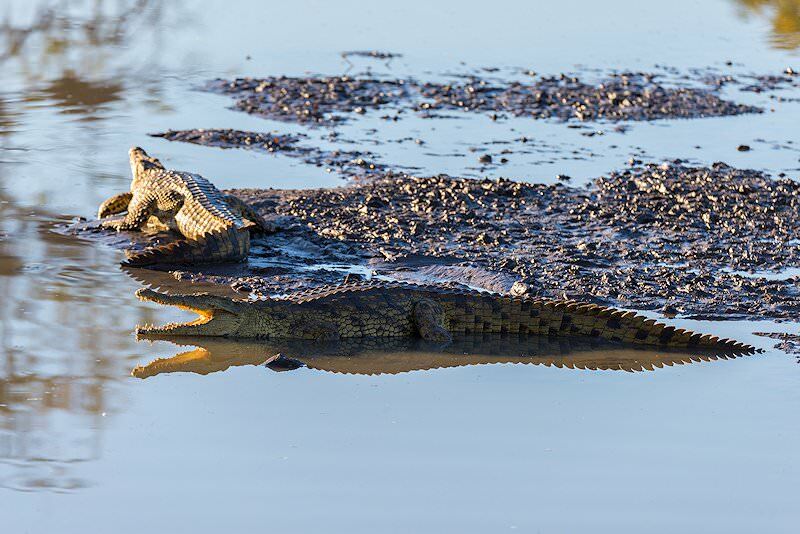 The river itself teems with wildlife, including hippos, crocodiles, fish, numerous waterbirds and even Cape clawless otter. 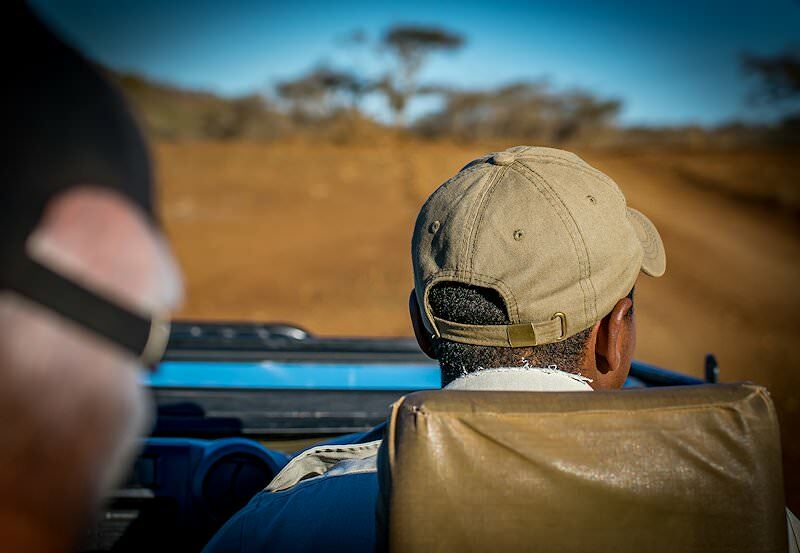 On an evening of your choice, you will accompany a park ranger on a night drive in an open-air 4x4 vehicle. 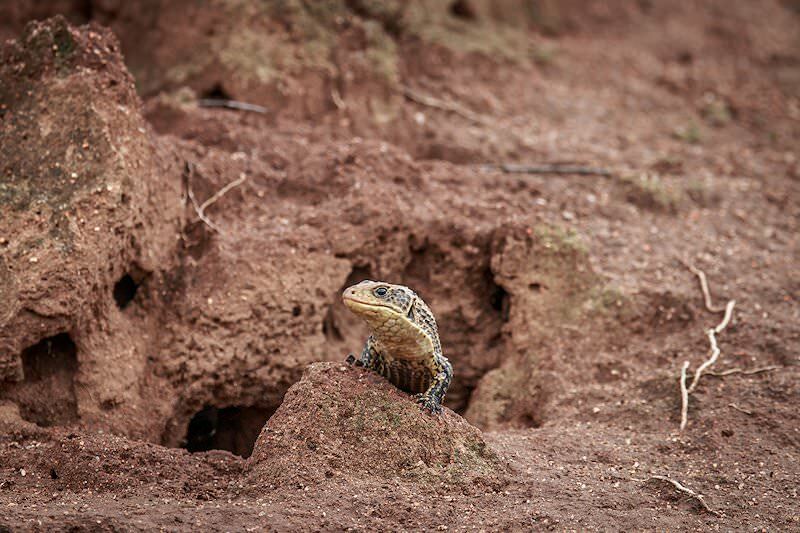 This will allow potential encounters with nocturnal animals like genets and bush babies, or hyenas and hippos. 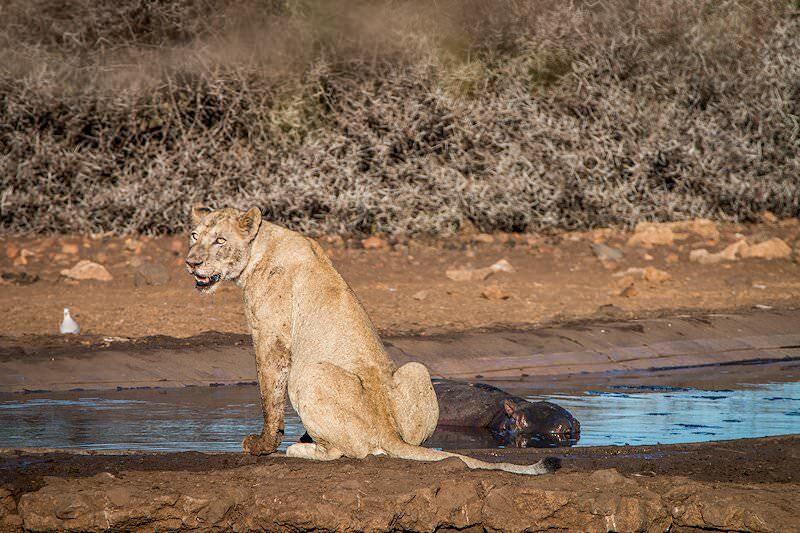 The most thrilling sighting is typically lions or a leopard on a kill, as these big cats often prefer to hunt under the cover of darkness when their prey is most vulnerable. Our four star tours are both affordable and inherently memorable. Luxury tours that include five star accommodations that do not break the bank. Our exclusive tours will appeal to travelers with a taste for the finer things. 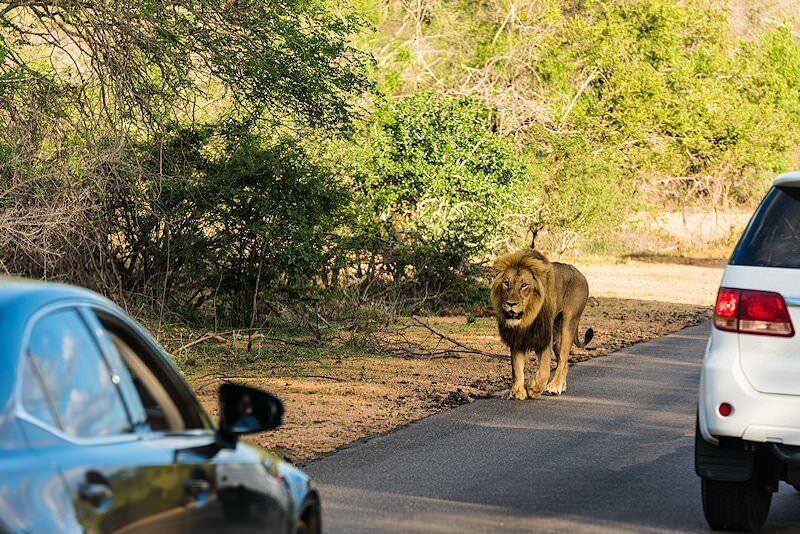 Touring South Africa and have a day to spare? 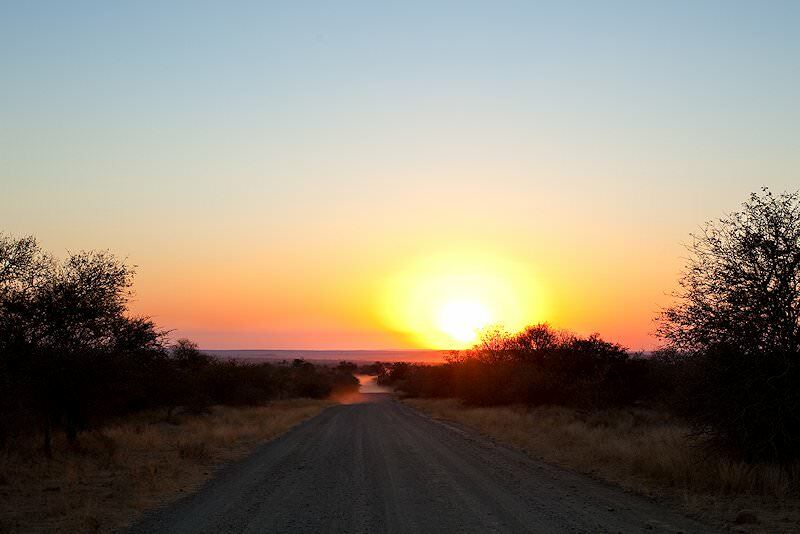 Opt to explore with African Sky. 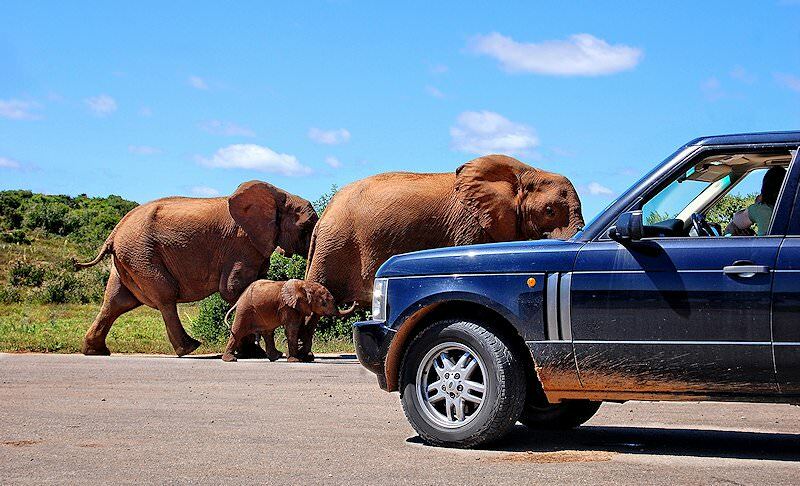 Our self-drive tours are aimed at guests who like to explore at their leisure. Bespoke travel will ensure that all your tour requirements are met. 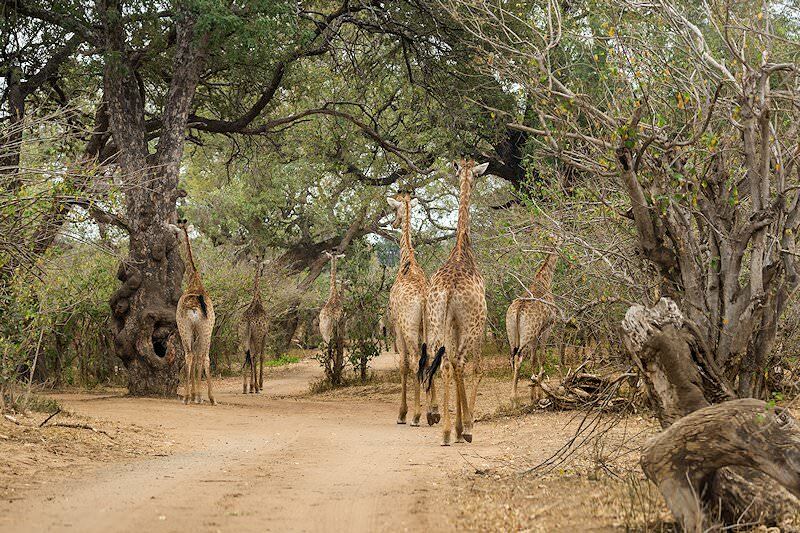 Tour Cape Town with African Sky for a privately guided in-depth adventure that includes the Mother City's top highlights. 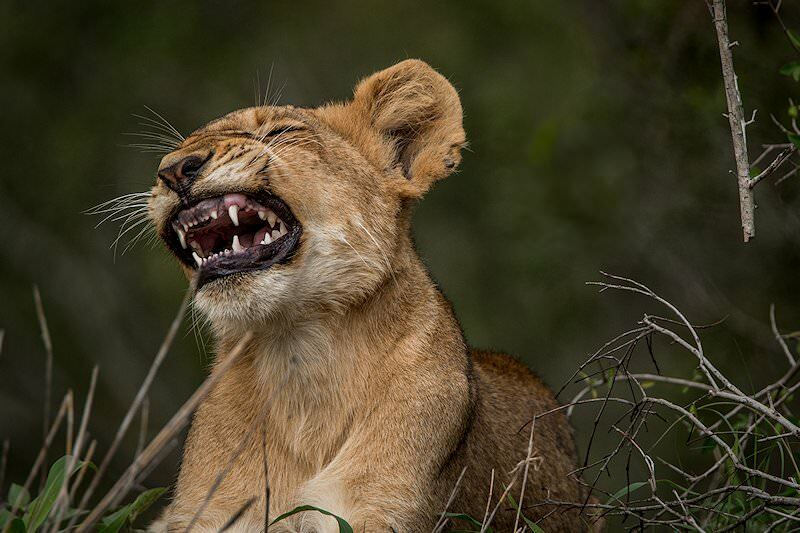 The Garden Route is sought-after for its wealth of adventures, from whale and dolphin watching to elephant interactions. Tour the Cape winelands for a remarkable bouquet of award-winning flavors along with bewitching natural scenery. A golf tour in South Africa typically comprises play on stunning courses as well as exciting local activities and attractions.